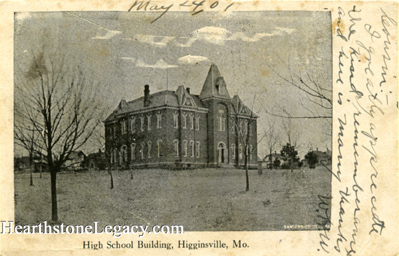 This postcard view pictures an early view of the old high school building. Click here for a different view of the same high school building and of the same building as the North School. Published by Sanders Co., St. Louis. This handwritten note at the top edge of the postcard is dated 1901.